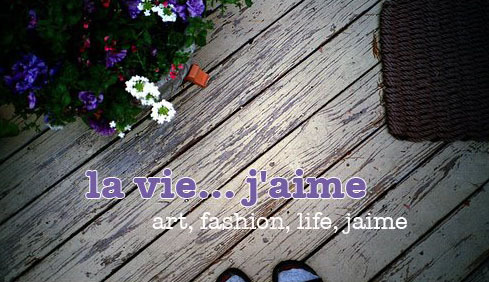 La vie Jaime : Happy 3rd Blog Birthday! Happy Blog Bday, Jaime! So glad you started this blog, otherwise, we probably never would have met! Gotta love our fantastic blogger community! Congratulations!! Time flies, doesn't it? Happy blog birthday! Hope the move went ok!